You can read two poems by John-Michael: “The Prodigal’s Return,” and “Vajra of the Octopus,” in Issue 19 of Superstition Review. Each Tuesday we feature audio or video of an SR Contributor reading their work. Today we’re proud to feature this podcast by John-Michael Bloomquist. John-Michael Bloomquist is a fifth generation Arizonan. Recently, his poetry has been published in The Carolina Quarterly, The Southeast Review, The South Dakota Review, The Portland Review and is forthcoming in Third Coast and The Lindenwood Review. 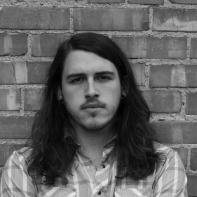 He won second prize in the Glendon Swarthout poetry competition in 2010 and first prize in 2011. He is a first year MFA candidate in Poetry at Arizona State University. You can read along with his poems in Issue 9 of Superstition Review.